You’re a runner. You love stat sheets, paces, heart rate zones, distances, conversions, and intervals. You crave a full page of information about your last 45 minutes of running, and want to spend as much time deciphering the results as actually hitting the trail. So you decide to go for an expensive watch, but don’t know which direction to go with it, and what will get you that satisfaction of knowing just many steps are in a 6:45 mile. Maybe you’re like me, an athlete who needs to know how many calories you burned off, or maybe you’re a weekend warrior training towards your first half marathon. Whatever type of stat junkie you are, the Garmin 220 Forerunner seeks to satiate your number cravings. The Garmin 220 Forerunner is a GPS-driven, heart rate zone tracing watch that comes with an extensive range of workout options. If you consistently run economy-work (short, quick intervals followed by jogging intervals), you can program it right onto the watch, and it will alert you at the beginning and end of each interval. 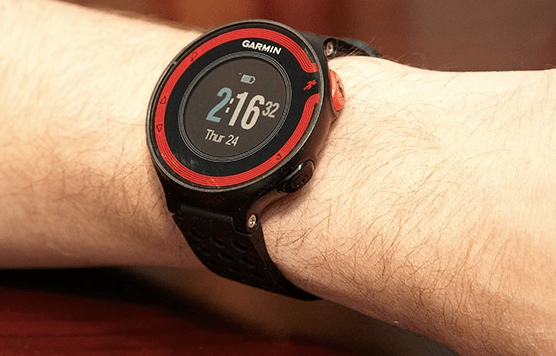 The crown jewel of all Garmin running products is your free membership to Garmin Connect, their online database for planning out runs and complicated workouts. Compare your stats with other runners, track your progress, distance, elevation, or do anything else your heart (or heart rate) desires. Coming in at $249, this watch fits squarely in the middle of high-tech running watches, and has a great range of available features to back up its price tag. There are a few issues with interactions and maintenance, but we’ll get to that later. 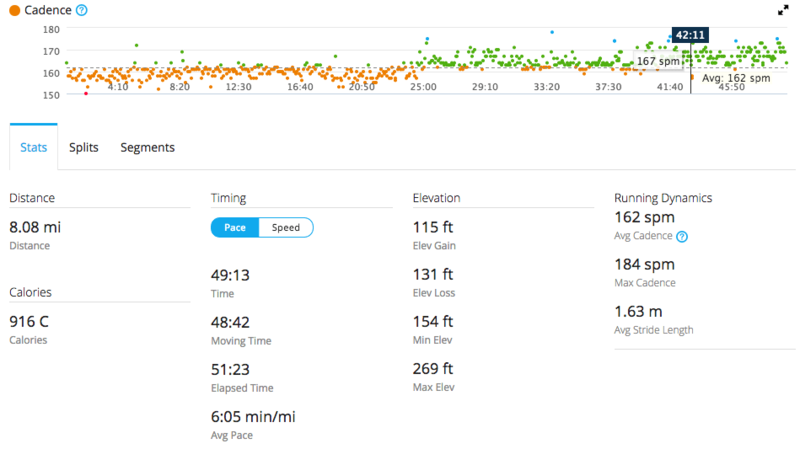 Heart Rate Accuracy/Consistency: For about 90% of the runs I do with my Garmin 220, I am happy with the heart rate monitor, and the hassle of getting the diodes wet is a small inconvenience (spit works as good as anything). But, I know you don’t read reviews for stories about the good days. Fairly frequently, my watch will remain in what my teammates and I have dubbed the “Limbo Zone” of heart rate, i.e. pretending to sync for 5 seconds and then dropping out again right as you get moving. These problems increase especially when your watch and/or monitor are low on battery, when the frequency of “off” days rises to about 25%. The nice thing about the Garmin 220 Forerunner is that even if the heart rate or GPS isn’t working, you can rely on the other to still get in a good workout. Begin linking your watch while doing dynamic stretches before a run. I know this seems a little obvious and nit-picky, but it can save you 2-3 minutes of pointless waiting while you get a signal. Wash your heart rate strap consistently. Not only will you smell better but the performance improves if you wash it every 7-10 runs. Regularly upload your data online, and keep the watch’s local storage to a minimum. This helps you to both keep all your data online, and to make sure your watch works efficiently on all runs. If you have a speed workout, stick to the track or open roads. If you’re relying on a good split for distance, get your watch to somewhere open where it can sync properly and give you the best results. Maintenance: On the whole, the Garmin 220 Forerunner is a pretty easy watch to maintain. I’ve put mine through some crazy stuff, including a victory Gatorade bath (the yellow kind for those wondering) and a dive in a public fountain, yet it always comes out strong. The battery life is above average, requiring 4 hours of outlet time for every 2-3 weeks of training, depending on your frequency and length of runs. As I mentioned, washing the monitor strap is a good idea, but is certainly not required. 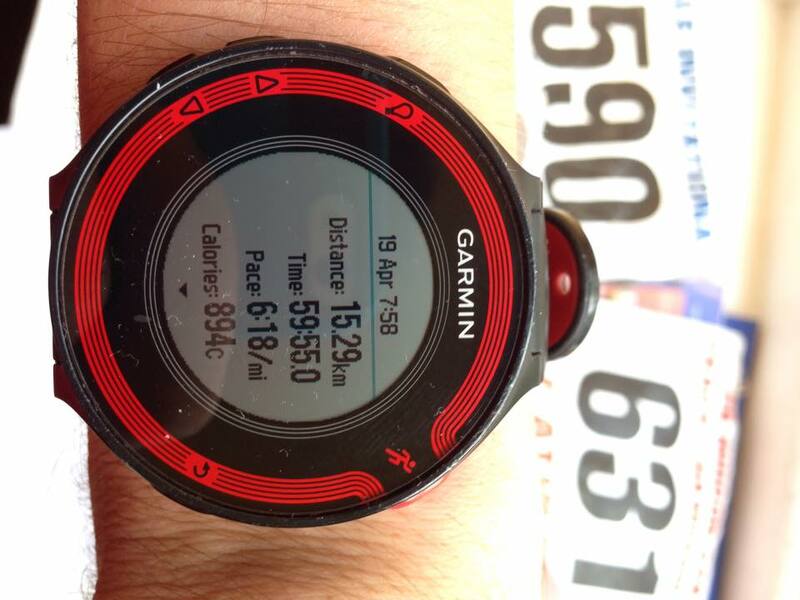 Garmin products come with a 6 month warranty, so you can always trade it back in if you’re unhappy. Their customer service is decent, and they are entirely willing to send you a replacement if the malfunction was their fault. Running Experience: After you’re all set up and you’ve got a GPS link on the watch, a run with this watch is really enjoyable. My personal favorite touch is the little song it does after you finish a workout, and the updates it gives you when you run a personal best for distances ranging from a mile to a marathon. This feature is really useful for all you roadrunners out there, because it allows you to track your race progress and see how you did at every stage of the race. Garmin’s slogan is “There’s a coach in every watch” and they really do live up to that mantra. The data screens are customizable, and you can have up to four of them as you are running, including Time of Day, Avg Pace, Lap Pace, Heart Rate, and many other options. You can set it to auto split every mile, which is really useful for constant feedback. I can’t rave enough about how slick these watches look. I receive comments daily from peers about how cool the color display looks, and it’s immediately noticeable how reasonably sized they are in comparison to other GPS watches. Complete with 7 different color options and a choice of background, the 220’s are gorgeous to look at, and practical for everyday use. They are sized to fit any wrist, and have both men’s and women’s designs (red/black casing for guys, white/violet casing for girls). Long story short, not many watches look better and feel better than this model. A great watch for fitness addicted runners in any environment. The versatility of its interface, and the sheer amount of stuff it can tell you is amazing. Any stat junkie needs to get this watch, and anyone interested in a thorough analysis for improvement could greatly benefit from this model. For more serious runners, check out the Garmin 620, which offers a few more options for a higher price. For the rest of us without unlimited cash, stick with this model. Nick Dahl is a student athlete competing on the East Coast for Germantown Friends School. He is the NBN Outdoor Champion 2-miler, 2nd place finisher in the NBN Outdoor 1-mile, as well as a Penn Relays and Arcadia qualifier. Nick Dahl is a nutritionist in training, Paleolithic dieter, and experienced distance consultant. He has taken courses in Anaerobic Energy Systems, Lactate Capacities, and Neurosciences, and is studying Physiological Chemistry. He currently lives in Philadelphia with his family.